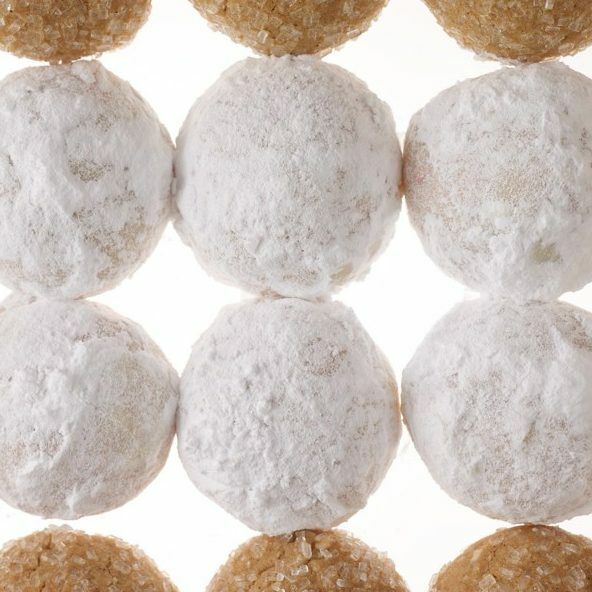 Snowball cookies are laced with delicious candied cherries. Drain cherries on a paper towel. In a mixing bowl, beat butter, confectioners' sugar and extracts until smooth. Mix in flour, coconut and almonds, then stir in cherries. Wrap and chill dough for 30 min. Heat oven to 325°F. Roll dough into 1-inch balls; place on baking sheets. Bake until bottoms are just golden, about 15 min. Cool on pans for 2 min. Transfer to wire racks and cool completely. To serve, roll cookies in extra confectioners' sugar. Unsugared cookies can be stored, airtight, for up to 5 days. Unsugared cookies can be stored, airtight, for up to 5 days.